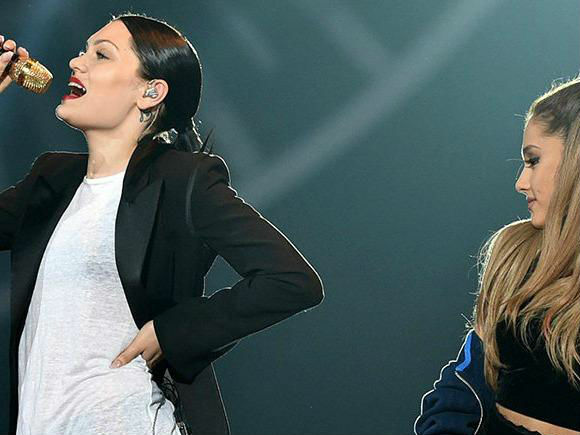 Music producer Rodney “Darkchild” Jenkins has announced that Ariana Grande and Jessie J are working on a cover of Brandy and Monica’s classic ’90s R&B duet, “The Boy Is Mine". Music producer Rodney “Darkchild” Jenkins has announced that Ariana Grande and Jessie J are working on a cover of Brandy and Monica’s classic ’90s R&B duet, “The Boy Is Mine,” for his upcoming 20th-anniversary project, reports complex.com. This will mark the second collaboration between Ariana and Jessie, with the first being the explosive “Bang Bang,” which landed on Jessie’s most recent album, “Sweet Talker", reports the magazine.